For more than 140 years, Chicago&apos;s Palmer House, has been treating guests to opulent and gracious hospitality. Once touted as the largest hotel in the world, the Palmer House lobby has seen dignitaries, celebrities and royalty come and go since the hotel was established in 1871. The current Palmer House was actually the third incarnation of Potter Palmer&apos;s dream of a hotel: The first was a wedding present that went up in flames when the Great Chicago Fire swept through the city and destroyed roughly 3.3 square miles of the city. But not even the Great Chicago Fire could keep Palmer&apos;s dream hotel down — he secured a $1.7 million signature loan and set off to rebuild his eponymous hotel. 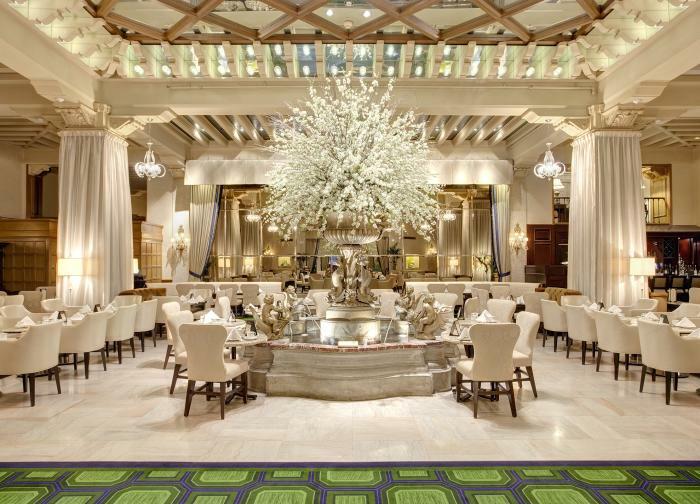 Today, the lobby at the Palmer House remains one of the most historic and stunning hotel lobbies in the world. Famous guests include Oscar Wilde, Mark Twain, and almost every sitting president since Ulysses S. Grant. 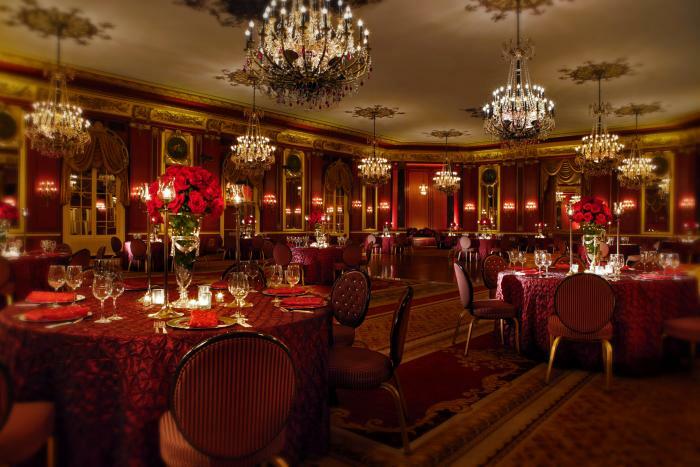 The hotel has also hosted legendary entertainers including Frank Sinatra, Judy Garland, Louis Armstrong and Liberace, who got his start in 1947 as the Palmer House pianist. The Drake Hotel has been welcoming visitors from its perch at the beginning of the Magnificent Mile for more than 90 years. Designed with Renaissance-era Italian in mind, the opulent urban resort cost $10 million to build. Two thousand of Chicago&apos;s leading citizens were invited to inaugurate the grand hotel on New Year&apos;s Eve in 1920. From opening night forward, the Drake became a hotel for the rich and famous. Its 537 guest rooms and 74 suites have hosted important cultural and political figures from around the world. Many U.S. presidents have spent the night in the six-room Presidential Suite, from Herbert Hoover to Bill Clinton. Winston Churchill, Amelia Earhart, Eleanor Roosevelt, Walt Disney, Frank Sinatra, Dean Martin, Charles Lindbergh, Pope John Paul II and Princess Diana have all called the Drake home for a night or two. When President Obama stayed at the Drake in 2011, his secret service detail discovered a chain of hidden passageways under the hotel. The Drake has also hosted movie stars galore, and several movies have been filmed under its roof, including Time and Again, The Blues Brothers, Risky Business, My Best Friend&apos;s Wedding, and more. Formerly the home of the Medinah Athletic Club, the InterContinental&apos;s south tower was built in 1929, a significant year for American architecture. By the time the Medinah Athletic Club&apos;s new home opened its doors on the northwest end, Chicago&apos;s Michigan Avenue was already glittering with shiny new skyscrapers. 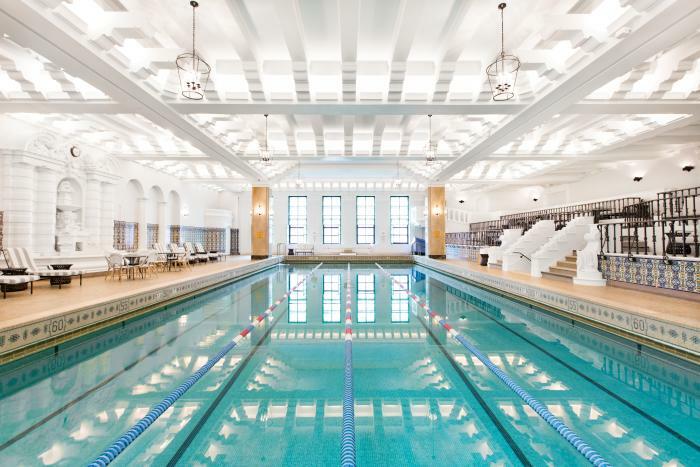 Though many of the incredible architectural elements of the original athletic club have been lost over time, including the two-story boxing arena, miniature golf course and archery range, the 120,000-gallon swimming pool remains virtually untouched. The lavish space was one of the most glamorous places to see and be seen in the city during the 1940s. 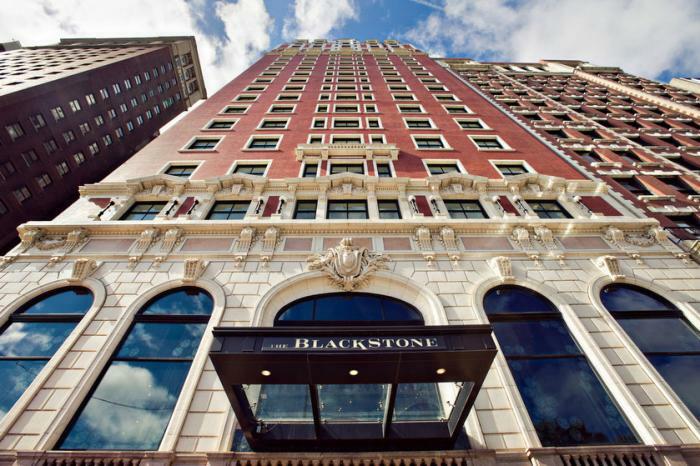 Stay at the The Alise Chicago and you&apos;ll be checking into a National Historic Landmark. Architects Daniel Burnham, John Root and Charles Atwood&apos;s revolutionary steel and glass structure shaped our city&apos;s skyline and paved the way for the modern skyscrapers. When it was built in 1895, it was considered one of the city&apos;s first skyscrapers with its 14 stories stretching into the sky. Today, the hotel keeps the spirit of this old Chicago gem alive while also offering modern-day amenities. Dine in style at its iconic restaurant, Atwood, while enjoying the building&apos;s original grandeur and Gothic-inspired ornamented exterior. Step into the stunning Beaux Arts lobby of the The Blackstone and you&apos;ll feel as if you&apos;ve stepped back into time to turn-of-the-century Chicago. The Blackstone, also on the National Register of Historic Places, opened its doors in 1910 to much fanfare. Its rooms have hosted everyone from Rudolph Valentino to Joan Crawford, from Truman Capote to Tennessee Williams. But the hotel is best know for hosting 12 U.S. Presidents, from Teddy Roosevelt to Jimmy Carter. Indeed, the original "smoke-filled room" originated here, when a reporter observed the cigar-smoking politicians during the 1920 convention. Be sure to check out the hotel&apos;s former barbershop, once frequented by none other than Al Capone, and the elegant Crystal Ballroom, site of Lucky Luciano&apos;s infamous National Crime Syndicate meeting. But watch for ghosts: the hotel&apos;s English Room, with its paneled Tudor-style wood walls and stained glass windows (transplanted from a 17th century English castle) is allegedly haunted.